Haus & Laib Deli, Speciality Butchery, and Bistro opens on Loop Street, sells Raith cold meats and other German Treats! 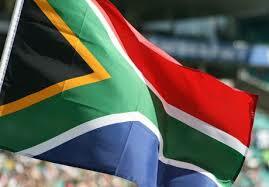 Freedom Day 2014: reflecting on 20 years of democracy! It was the interview with a Cape Argus reporter on Friday that made me reflect on how far not only our country, but also I personally and my business have come in the 20 years since we voted on 27 April 1994. The Argus interview was focused on the progress over the past 20 years I have seen personally, business-wise, and politically. My very first feedback to reporter Dylan was that 1994 was the first and only time that I was allowed to vote, having a German passport. I do not recall how it was possible for all foreigners (by passport) to be allowed to vote, when it has never been allowed before nor since then. I loved standing in a queue somewhere in Sea Point, being part of the exciting day that would change our country forever, and how much goodwill there was amongst South Africans whilst waiting patiently in the queues. Little did we know that the rest of the world waited anxiously for the outcome of the election, fully expecting a revolution to take place, unbeknown to us residents, with thanks to the SABC in ‘protecting’ us from this world scenario. * Premium South African wines are increasingly being exported to other African countries, Nigeria in particular, as well as to Ghana, Angola, Tanzania, and the Democratic Republic of Congo. * American travelers are likely to rate service satisfaction highest, and the Japanese tourists the lowest, with French, German, Italian, Spanish and British tourists falling in between these satisfaction rating spectrums. This finding comes from a multicountry service satisfaction study conducted amongst a sample of 200000 travelers. * We have it all wrong – the most popular travel time for the UK and German market is August, tourists taking about 10 days off, and traveling to the Balearic islands, Turkey, or Greece in Europe, and Mexico on long haul trips, a TUI study of its bookings for 2013 has found. * Chinese tourists have surpassed German and American tourists in expenditure for the first time, spending more than $100 billion on tourism in the past year, a 40% increase. South Africa does not yet feature on the top 10 list of countries Chinese visitors would like to visit. * Distell’s earnings grew by 12% to reach R15,9 billion, and its profit by 10%, the weak exchange rate being a boost to sales, especially within Africa. Tourism sees strong UK dip in January 2013, after strong international growth in 2012! SA Statistics has released the January 2013 tourism arrival statistics, and it is clear that our tourism industry is in trouble, the traditional source markets of the UK and Europe strongly down relative to the same month a year before, and American arrivals showing a minimal increase, as reported by Southern African Tourism Update. Two of the BRICS countries, India and Brazil, continue to show strong growth. In total tourism numbers declined by 4% to 202548 in January 2013, relative to a year ago. The 19% decline in UK tourists is no surprise, as we have picked up the dramatic demise of UK tourists in the past two summers, due to that country’s economic recession, but still is ranked top as source country at 34393. America is the second largest source market, with 21330 arrivals. German tourists numbered 21101, a surprising decline of 6%. France is in 6th place as a source country, with a slight decline in its arrivals. The Netherlands, another important source market. showed a decline of 18%, and is now in 8th place. The decline in the UK arrivals is confirmed in an article in Breaking Travel News, which showed that UK travelers would be affected by the exchange rate in most countries, given the weak pound sterling, affecting their travel costs to the USA, Australia, and Europe. Countries in which British travelers will not suffer the exchange rate so badly are Argentina, Brazil, and South Africa. However, the higher cost of flights to these countries may cancel out the benefit of the lower exchange rates. China surprisingly showed its first decline, by 4 %, and is ranked 4th on the tourism arrivals list, while arrivals from Brazil jumped by close to 13%. Given tour operator Colin Bell’s discovery that the tourism arrival statistics include transit passengers, spending at least 24 hours in our country to be defined as such, it is interesting to note that about 40% of the Chinese and Brazil ‘tourist’ arrivals were in fact transit passengers travelling to another country from South Africa. This does not apply to Indian tourists, the 15% increase in arrivals from this country reflecting the great work which is being done by SA Tourism in that country. Its head, Hanneli Slabber, has just been recognised as Safari India National Tourism ‘Best Professional in Marketing’. These depressing tourism arrival statistics were announced after Marthinus van Schalkwyk, national Minister of Tourism, shared at Indaba earlier this month that South Africa’s digital marketing activities have reached 1 billion people, reports themovechannel.com. ‘Our video, banner and text adverts were displayed to the targeted audiences over 1,1 billion times’, in addition to marketing programs with CNN, National Geographic, Expedia, Facebook, TripAdvisor, and WAYN.com. The Minister may not understand that duplication of exposure of South Africa’s advertising message would reduce the audience size. 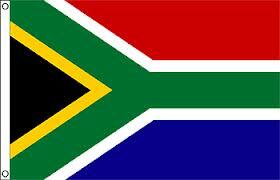 The value of South Africa’s editorial coverage in international media is estimated at R4,6 billion. Minister van Schalkwyk has reacted to the news that a development bank is being set up by the BRICS countries, and has said that it ‘will boost tourism among the nations’. The increased business trips related to setting up the development bank will be ‘prompting other tourists to follow suit’, the Tourism Minister said, according to The Telegraph. A Goldman Sachs report shows that the BRICS countries generated half the global economic growth in the last ten years. Currently inter BRICS trade is valued at $230 billion, and is estimated to double in the next two years. Minister van Schalkwyk was invited to lead a new United Nations World Tourism Organisation (UNWTO) commission on tourism and development, at a meeting yesterday of its Executive Council in Belgrade, working with a working group of France, Germany, Kenya, Jamaica, Egypt, Mexico, Republic of Korea, Mauritania, and Belgium, reports the Southern African Tourism Update. We appeal again to Cape Town Tourism and Wesgro to market Cape Town and the Western Cape nationally and internationally, to counter the frighteningly low bookings for June and July, one of the worst winter seasons we have seen. 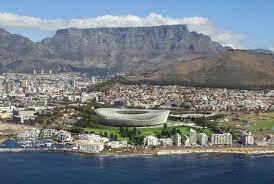 President Zuma bestows highest praise on Cape Town as tourism haven and heaven! A most unusual event on Thursday was the launch of the 2012 national tourism statistics – not by Marthinus van Schalkwyk, our Minister of Tourism, but by President Jacob Zuma – not in Johannesburg but in Cape Town! President Zuma was most gracious in his praise of our beautiful city! In his talk held at the unusual venue and top fish restaurant Baia in the V&A Waterfront, President Zuma said that God lives in Cape Town, probably on top of Table Mountain, to great applause, reported iolnews. The President said that Capetonians should be aware of this, and especially demonstrate their friendliness when international delegations visit Cape Town for the World Economic Forum Africa meeting next week. The tourism news shared by President Zuma is that tourism arrivals rose by 10% in 2012, more than double the average world tourism growth rate for the same period, as measured by the United Nations World Tourism Organisation. More than 9 million international tourists arrived in our country last year, of which 1.4 million were from Europe. Despite experience to the contrary, the UK is still measured as the top source country, with under half a million visitors, followed by the USA (over 300000 tourists), with German tourists in third place with just under 300000 tourists. Tourism arrivals from the USA and Germany rose by 13% in the past year. China has jumped into fourth position from eighth place, with 130000 visitors, a phenomenal growth rate of 56%, followed by France in fifth position with 120000, reported Business Day. Quick to react to the President’s visit to Cape Town, Western Cape Tourism Minister Alan Winde said that the contribution to the economy of the province by tourism was R 18 billion in 2011. The 2012 SA Tourism statistics are not broken down by province or city, so that the Western Cape tourism performance may not have been as buoyant as that experienced in Durban and Johannesburg. No equivalent statistics are available for the province. The City of Cape Town has announced that it has commissioned research to be conducted over the next three years, to measure the value of tourism for Cape Town. 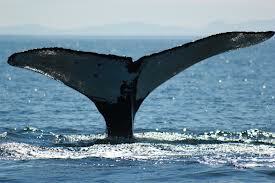 Minister Winde’s goal is to grow the contribution of tourism to the province’s GDP from 10% to 15% by 2015. This will be achieved by evaluating the introduction of direct travel routes to Cape Town from Angola, Nigeria, and Ghana. In these three countries the province’s tourism promotion agency Wesgro is evaluating business opportunities for the Cape in the oil and gas, design, and ICT fields. The Minister also announced in its media statement that tourism routes will be developed between Gordon’s Bay and Cape Agulhas, as well as in the West Coast tourism region. Unfortunately Mr Winde’s media statement makes the fatal error of adding up all the visitor numbers for three (Table Mountain Cableway, Cape Point, and Kirstenbosch) of the ‘Big Six’ tourism attractions, a cumulative total of just under 300000 visitors, without deducting the duplicated visitors! Once again we must question the SA Tourism statistics, having reported previously that tour operator Colin Bell had discovered that these statistics contain transit visitors in their ‘tourism statistics‘, especially those from China and Brazil! SA, German, and Dutch tourists: Cape Town’s tourism saviour! Cape Town is likely to see more German and Dutch tourists this summer, reported the Weekend Argus recently, as the visitors from the UK continue to stay away due to that country’s recession. The UK was our city’s largest source of international tourism business until 2010, but its proportion of tourism business has dropped significantly. South African visitors will dominate over the forthcoming summer season. German tourists increased by 9% and Dutch visitors by 4% last year relative to 2010. Cape Town Tourism CEO Mariette du Toit-Helmbold said: “We will continue to work with our industry partners, as well as trade and media from that region, to further strengthen these tourism ties”. Cape Town Tourism hosted a group of 100 German travel agents from Gebeco, a tour operator specialising in China and the Far East, in June. Western Cape Minister of Tourism Alan Winde said the growth was due to the “great work being done by the provincial government, its tourism destination marketing agency Wesgro, Cape Town Tourism, and other roleplayers, ensuring that our city is an attractive place to visit for tourists from around the world”. Wesgro took over the marketing of the Western Cape in April, so cannot be lauded for any marketing success to date, nor for any success in 2011, very little marketing activity being evident. According to Barbara Zieme, Cape Town Tourism’s representative in Germany, German tourists are attracted to the city’s natural beauty, ‘wildlife’ and culture. Germany is the world’s fourth strongest economy, and currently is keeping the Eurozone afloat. It is one of the most travel-happy nations in the world. More than 1 million Dutch residents are expected to travel internationally. A local study has shown that more locals will travel to Cape Town than last year, and they are planning a beach holiday specifically. The survey was conducted before the punitive petrol price increase earlier this month, so one hopes that this intention remains. A geographic region that Cape Town Tourism and Wesgro appear to pay little, if any, attention to but that is showing good tourism interest and bookings for the Whale Cottage Portfolio is Scandinavia, especially from Sweden. Summer bookings generally still are very slow for Cape Town, but the festive season period is showing healthy enquiry numbers and bookings. Cape Town and the Western Cape is coming out of its worst winter season ever, so any increase in tourism activity is most welcome. ‘Fabulous February’ Cape Tourism’s best month, but media report irresponsible! February has drawn to a close, and has not disappointed the tourism industry in Cape Town in giving it a welcome confidence and income boost. However, February occupancy in Camps Bay has been on a par with 2011, at just under 90%. February is by far the most popular tourist month of the year now, which it previously shared with November. February is attractive to the UK market specifically, and to the northern hemisphere generally, to have a break after a long and bitterly cold winter this year. The UK had school half term in this period too, allowing families to travel. The Mining Indaba earlier this month was a tremendous boost for the city. Our statistics for Camps Bay show that the share of the UK market in February was at its lowest level in the past six years, at only 20%, with that of South African visitors having increased dramatically from 9 % in 2007 to 38% this month. The German tourist share at 15 % this month is on a par with 2007 and 2008, a welcome improvement after a decline in the years between 2008 and 2012. In January occupancy in Camps Bay improved significantly to 72%, from 58% the year before, but it was still below the occupancy achieved in January between 2007 and 2010. A similar trend was evident in December 2011. Hermanus showed a significant recovery in February, with a 40% occupancy, double that of February 2011, the best performance since 2008. Sadly Franschhoek experienced by far its worst February ever in six years, largely due to the sharp decline in the number of weddings which have traditionally been held in the village in February, and German tourists being less interested in visiting Franschhoek, choosing Stellenbosch in preference. The Franschhoek Wine Valley tourism association has done no visible marketing in the past year, other than the hosting of a few events, and its reduced marketing in using the services of a one-day-a-week consultant is not helping! It was with concern that we read an article in the Weekend Argus last weekend, irresponsibly entitled ‘Tourists flock to Mother City in record numbers’. The article’s claim that ‘Cape Town’s extended summer has translated into the city’s best-ever holiday season, with tourism experts declaring that predictions for a much-improved season have been right on the money’, is misleading, and completely incorrect. The problem probably lies with who the journalist interviewed as so-called ‘tourism experts’. * The biggest culprit is Cape Chamber of Commerce President Michael Bagraim, who has enjoyed using his position as President to make media statements about any possible topic, including tourism, about which he has little experience as a labour lawyer. He claimed that the tourism figures ‘were the best he had seen yet for the city’ (our underlining). His statement implies that he may not have seen all potential past tourism information, and it shows in his subsequent quotes to the journalist, including the nonsensical statement that ‘This past summer has certainly been the best, and we hope the upcoming summer will be even better. At the current rate I think Cape Town could easily become the best tourist destination in the world’, not defining how he defines ‘best’! He clearly does not understand the definition of ‘summer’, and that it still has another six weeks to go, with far lower occupancy expected in this period. Mr Bagraim goes from bad to worse, by praising the World Cup for the good performance: “I believe that we are now experiencing the rewards from the World Cup, the reason being that so many tourists currently in the city were here during that period, and are now returning”. We cannot agree with Mr Bagraim at all, showing that he was completely out of his depth in this interview! He added that word of mouth from those that had attended the World Cup 18 months ago, the resultant media coverage, Table Mountain’s New7Wonders of Nature (not yet confirmed for Cape Town), and being named 2014 World Design Capital ‘would help ensure that Cape Town’s tourist enterprise would continue to thrive’ (our underlining). Mr Bagraim clearly was not aware that the tourism industry experienced a crisis in 2011, and was nowhere near ‘thriving’! He added:‘The one thing to remember about tourism is that it is foreign money which comes into the city, meaning it is new money that gets recycled throughout the economy’ (our underlining). Once again Mr Bagraim has not been briefed about the visitor composition, and that the majority of tourists in the Cape are South African! The rest of his statement would make economists shudder! We can however agree with his declaration that ‘Tourism is certainly the biggest money-spinner for the city, and it will continue to be so for many years to come’! * Western Cape Minister of Tourism Alan Winde quoted improved visitor numbers for ‘Table Mountain National Park’ and Robben Island, but the time period was not stated. * Calvyn Gilfellan, CEO of Cape Town Routes Unlimited, issued a media statement a week ago, along similar lines of the Weekend Argus article, and the journalist must have sought inspiration for his headline from this irresponsible media statement about the ‘interim summer’ period. Mr Gilfellan is quoted as saying that Table Mountain had seen a 25 % increase in visitor numbers between November – January relative to the same period a year ago. His conclusion is that it proves ‘the impact an international accolade has on the popularity of the attraction’. What Gilfellan neglected to mention was that the improved weather (i.e. reduced number of days on which the Cableway did not operate due to rain and gale force wind) in the past three months relative to a year ago played a huge role in the tourism numbers achieved for Cape Town’s icon. * Cape Town Tourism’s Communication Manager Skye Grove was also quoted, in a nonsensical linkage made between tour guides and the increased use of technology, ‘which should spur tour guides to up their game’, she is quoted as saying. Further she is quoted as saying that tour guides should maintain high standards of quality and content ‘to keep up both with the challenge of technology, but also with the high tourist numbers’, a statement that does not make sense! Ms Grove sent out a media release last week, sharing informal ‘research’ Cape Town Tourism had conducted amongst its members about their performance in December and January. With the exception of the accommodation members, the sample sizes were not mentioned, yet detailed analyses were provided, and one can assume that the subsample sizes were tiny (only 106 accommodation establishments responded, representing by far their largest member segment). Ms Grove quotes passenger arrival figures at Cape Town International, up on the year before, which was a particularly poor period of arrivals. She quoted Ravi Nadasen, GM of The Cullinan, who stated that accommodation establishments had not experienced the same good performance as had tourism products, due to the oversupply of accommodation in the city, as well as a trend to visitors staying with family and friends. * Mayoral Committee Member for Tourism, Events and Marketing, Grant Pascoe, is receiving a lot of coverage via Cape Town Tourism’s media releases, in the few that they issue, and his statements in the Cape Town Tourism media release were included in the Weekend Argus article, once again demonstrating how out of touch the Councillor is with tourism in the city. He is quoted as saying that ‘the boost in the number of visitors to the city was a trend that was expected to continue into 2012’, given a number of events in March and April, including the Argus Cycle Tour, the Cape Town International Jazz Festival, Design Indaba, and the Two Oceans Marathon. Our experience is that events (e.g. J&B Met) have attracted fewer non-Cape Town visitors to Cape Town this year, and even the Argus Cycle Tour has not yet filled Camps Bay, as it has in the past years. We have previously pleaded for greater honesty and reliability in the reporting of the performance of the tourism industry. The summer season is not yet over, and the past twelve months should not be the only benchmark of tourism performance, given that 2011 was the worst tourism year ever experienced in the Cape. It is no achievement to see tourism improvements relative to 2011! Restaurant Review: Little German left of German Club at Roodehek Restaurant! I heard earlier this week that the German Club had been given a new lease on life, with a new owner of a renamed Roodehek Restaurant & Bar, and that the Austrian & Swiss Club were invited to join, to create a German-speaking ‘home’ for patrons enjoying German food. What I found was a German/Thai/South African restaurant mix, without focus, stuck in a time-rut. The building dates back to 1679, having been the Roodehek Homestead, according to an illustration on the menu. The building is not the most attractive in Cape Town, and has no distinctive architectural style. There is ample parking outside, and a German and South African flag welcome guests, with a Thai Tuk-Tuk parked outside. I and a bar patron were the only guests in the building over lunch yesterday. It was a picture perfect day, and Table Mountain formed a beautiful backdrop. In the ‘Sixties, my Onkel Gustav, whom we visited on holidays at his Camps Bay home, used to bring us here, having been the German Club since 1930, for a second breakfast, after my aunt forced us all to have ‘Trennkost’ for breakfast. It used to be a special outing then. My visit yesterday made me remember those breakfasts, and in many respects the building and its interior seem to look exactly as I remember it from that time. The central restaurant room is very dark, with the bar on one side, without any windows, and the terrace section bringing in some light. The decoration is tasteless, with grass green walls on one side, contrasted with light green walls on the other side. Orange overlays are on the white tablecloths, and the chairs have red or green Scottish check upholstery, a complete clash of colours. Paintings decorate the walls, and are for sale. The most modern aspects of the restaurant were its aluminium sliding windows, and the TV set in the bar! The crockery is plain white Continental china, the cutlery cheap, the salt and pepper pots are supermarket-quality, but there was a material serviette. A glass jar of imported German mustard was brought to the table, not likely to be used for the Schnitzel which I had ordered! The tablecloths were badly ironed. The table was wobbly, and already had a piece of paper under one of the legs to try to stabilise it. The owner is Martin Diebold, who took over the management of the restaurant in February. He started the Rak-Sa Thai restaurant in Durbanville two years ago. The menu is a strange mixture of German and Thai food (“multicultural cuisine”, says the menu), and the waitress Rowena explained that the owner has a Thai wife. A Thai chef makes the Thai food, and two local chefs make the German dishes. The most German aspect of the restaurant was the German folk music played, which were such classics that they may well have been played in the ‘Sixties too! The waitress was not immediately to be seen, hidden in the bar area, and she greeted me with a menu, still chewing her lunch! I asked her what she would recommend from the menu, and she told me that everything is good. The restaurant and bar is fullest on Friday evenings, especially when the German soccer team plays a match, which is broadcast in the bar, I was told by Rowena. The menu was a paper one, even though I saw a beautiful leather-cover one when Rowena showed me the dessert selection (oddly not on the paper menu), but two of the six dessert items were scratched out! Rowena explained that they do not show the formal menu, as many of the dishes on it are not available. The menu offers ‘Today’s Special’ (different to what I saw on a Special’s Board as I came in), with a collection of German dishes (Leberkaese, Kaese-Spaetzle, Eisbeinsuelze, Schnitzel) and a mix of such non-German standards such as burgers and lasagnes, ranging from R38 – R75. Soups cost about R38, and are Thai (Tom-Yum) or German (Goulash, Linsensuppe, Erbsensuppe). Four German sausage styles are served with potato salad, at R38. A 500g T-bone steak costs R99, and sirloin and rib-eye steak R95 each. Eisbein and Sauerkraut costs R89, Schnitzel R62, and Cordon Bleu R69, each of the main courses served with a choice of chips, Bratkartoffel, baked potato, or mash, as well as a side salad of tomato, cucumber, carrot and potato salad, included in the price. The Thai specials cost between R65 – R95, and one can choose between stir-fried chicken, Thai Green curry with a choice of prawns, chicken, beef or vegetables, and two kingklip dishes, served in Thai sauces, one chilli, the other a curry one. The mash was lumpy, and the Schnitzel was a generous thin portion, severely beaten from what I heard from the restaurant. The carrot garnish was made by the Thai chef, Rowena told me. The salad was freshly made, and the coleslaw excluded, at my request. All desserts cost a mere R28, and the Apfelstrudel served with fresh cream was excellent. Other options are chocolate mousse, cheesecake, and ice cream with chocolate sauce. The bill had a farewell greeting in German (‘Auf Wiedersehen’) and in Thai (‘Khob Khun Krap’). I am not sure if there will be an Auf Wiedersehen, with such a poor old-fashioned interior, even if the food wasn’t bad (except for the lumpy mash). As a German I cannot see how anyone will come to Roodehek Restaurant, other than to watch German TV, if they can have better quality food and service at Raith Gourmet close by, the mecca of German food in Cape Town, in a more modern environment. Roodehek Restaurant & Bar, 6 Roodehek Terrace, off Hope Street, Gardens, Cape Town. Tel (021) 461-8845. www.roodehekrestaurant.co.za (The website promises that sushi is served, but none was on the menu yesterday. It also presents a far more extensive menu than the one I was given.) Monday – Saturday, 9h00 until late.